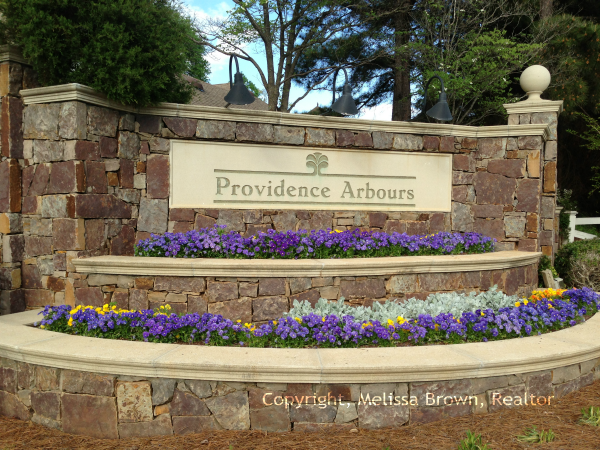 Providence Arbours neighborhood Charlotte, NC is one of my FAVORITE neighborhoods in South Charlotte! Located near the intersection of Providence Road and I-485, Providence Arbours neighborhood is conveniently located to shopping, dining, entertainment and commuting corridors. Zoned for some of Charlotte’s top-ranked public schools, Providence Arbours neighborhood has been attracting homebuyers since the development was established by David Weekley Homes in the early 90’s. Providence Arbours neighborhood has 140 homes, and just driving into the subdivision, you can tell that the homeowners take pride in their homes and lawns. Homes range in size from 2,400 – 4,000SF, with an average of 3,150 SF. Lot sizes range from .3 acres to .69 acres, but the average lot size is .39 acres. The neighborhood HOA is managed by Cedar Management Group. Annual dues are just $254/year in 2015. Here is the link to the neighborhood website. 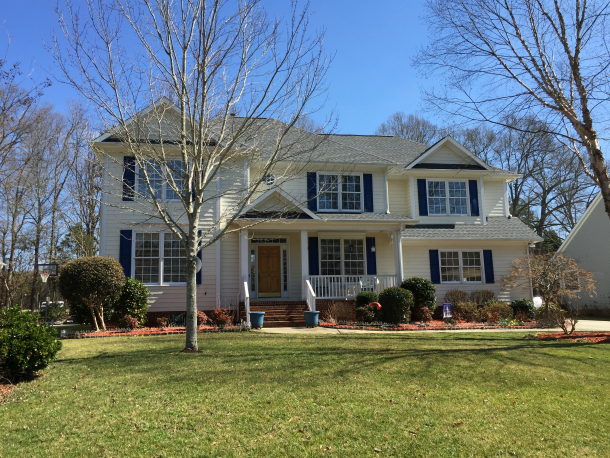 Homeowners in Providence Arbours neighborhood enjoy a very active and friendly South Charlotte lifestyle. The hub of the neighborhood is the community park, where neighbors and their kids gather to play and socialize. 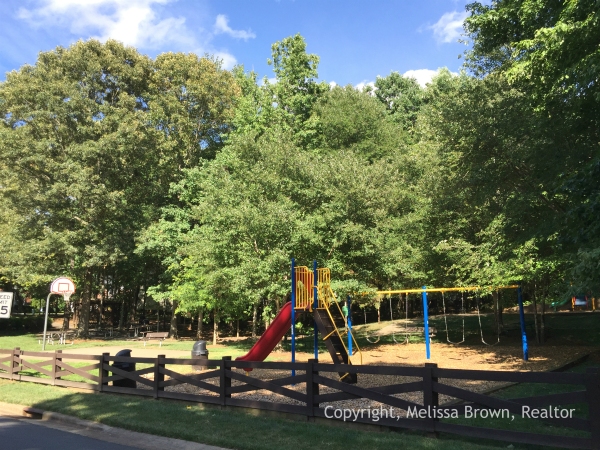 The kids enjoy playground equipment and play courts – it’s beautiful and shady, with picnic tables and benches, and the perfect spot to make friends or catch up with old friends. Neighbors take care of each other in Providence Arbours – it’s that kind of place! Providence Arbours neighborhood has an ideal location – it’s even WALKABLE, which few neighborhoods can boast. Providence on Promenade Shopping Center and Providence Commons Shopping Center are within walking distance. On a nice summer evening, you can walk to the Promenade and have dinner at Arooji’s Wine Room, The Q Shack, Romano’s Macaroni Grill, On the Border, Sushi 101, BT’s Burger Joint, Red Bowl Fusion Cuisine or Tony Sacco’s Coal Even Pizza. On Friday and Saturday evenings, from 7:00 – 10:00, pm, you can enjoy a movie or music in the center park of the center. Tons more shopping, restaurants and entertainment are just a 10 minute drive or less! Take in a movie or dinner at Stonecrest Shopping Center, or shop till you drop at Blakeney Shopping Center. Charlotte’s premier mall, Southpark Mall is around 15 minutes away, and you can be in the heart of Ballantyne in just 15 minutes! Ready for some sports and recreation? There are 5 country clubs within a 15 minute drive! Enjoy biking trails, fishing, hiking, playgrounds and more at Colonel Francis Beatty Park. There’s fun and activity for the whole family at the Siskey YMCA, and the kids can participate in baseball, softball, football and lacrosse at MARA, the Matthews Athletic and Recreation Association. My family spent MANY fine hours at MARA over the years. If tennis is your game, you might consider joining the Blakeney Swim and Racquet Club. 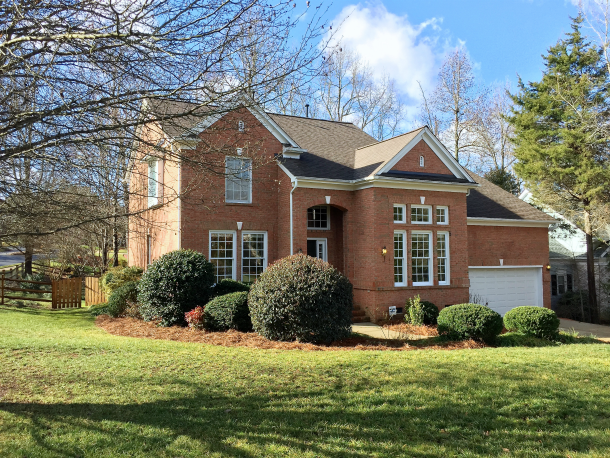 Providence Arbours neighborhood is zoned for some of Charlotte’s finest, top-ranked schools. Great schools are not only wonderful for your children, but they keep property values steady, as so many families want to live in neighborhoods that are zoned for great schools. 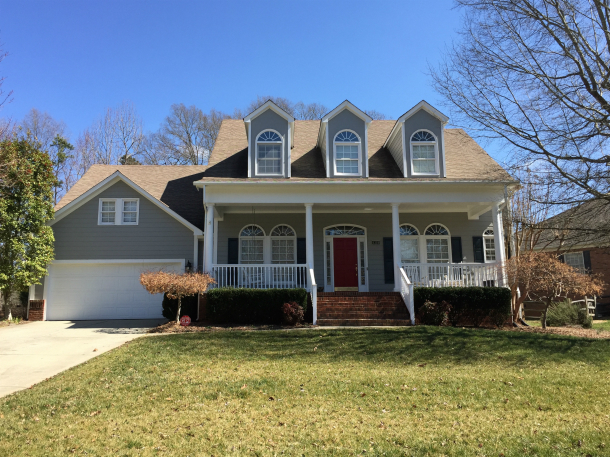 Are you thinking about selling your home in Providence Arbours neighborhood? Or….has my blog post enticed you as a home buyer in Providence Arbours neighborhood? Either way, I’m here to help! I’ve listed and sold home in Providence Arbours neighborhood, and I live only 5 minutes away! My kids all went to these same schools, and I can tell you whatever you need to know about these schools. Wherever you are in your real estate journey, I’m here to help. I work on YOUR time and YOUR plan. If you are a home seller, and are thinking about selling your Providence Arbours home, call me to hear about my 21 point premium marketing plan that gets homes sold – FAST! I’m not kidding…my plan WORKS! I’m happy to put you in touch with other Providence Arbours clients who followed my plan and were successful in selling their homes. If you want to buy a home for sale in Providence Arbours neighborhood – call me! Let’s talk about your goals, your timeline, your budget, and what your dream house/neighborhood would be. There’s no such thing as the “perfect house” (at least I haven’t found it), but we can try to find something that is as close to perfect as possible! I’d love to meet you at my Helen Adams Realty office in the heart of Ballantyne Village. I can’t wait to hear from you! Click here to download the best LOCAL real estate app in Charlotte! It’s totally FREE, and you’ll be amazed by what you can do with it!